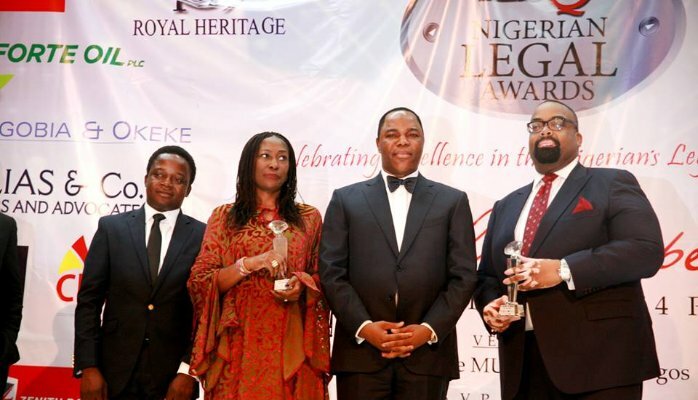 The 2016 edition of the annual Nigerian Legal Awards launched recently with a call for the leading Nigerian law firms and In-House legal departments to submit entries. The Nigerian Legal Awards is the only and most respected legal awards in Nigeria. The award is set to celebrate the important contributions of lawyers to businesses and indeed the economy. By uniting the most pertinent categories with the country’s leading law firms and In-House Legal Departments, our independent and highly reputable panels of judges are called to recognise success across the Nigerian legal community. The last one year has been challenging for businesses including lawyers. With increasing drop in the crude oil price and its attendant effect on a monolithic economy like Nigeria, many agree that the present times in the country and indeed challenging. However, smart businesses and lawyers continue to take advantage of available opportunities and resources and the amount of projects and growth indices leads to many success stories. This year’s award is set to benchmark legal service delivery in Nigeria Africa’s largest economy against globally acceptable standards of practice. The award will celebrate Nigerian lawyers’ contributions to the development of the economy and defense of businesses. To shore up the credibility profile of this award, we have raised the bar in the process of nomination and evaluation of entries up to the selection of the awarded. We have also carefully appointed highly reputable international lawyers and Chairmen/Heads of the Africa Practice/Business Groups of some of the world’s largest and leading International Law Firms who have been contributing in their own way towards the development of the Nigerian Market for over a longtime. These are men of integrity and distinctions whose contributions to this year’s award no doubt will take this award to the next level. Another innovation this year will be in the launch of our annual publication of the 40 under 40 young lawyer achievers who will shape the future of the legal profession in Nigeria. Why wait to make your entries? Visit www.esqnigerianlegalawards.com to put your firm in the spotlight for 2016. Entry deadline: Friday 29th July 2016. Magodo G.R.A Phase1, Isheri, Lagos.